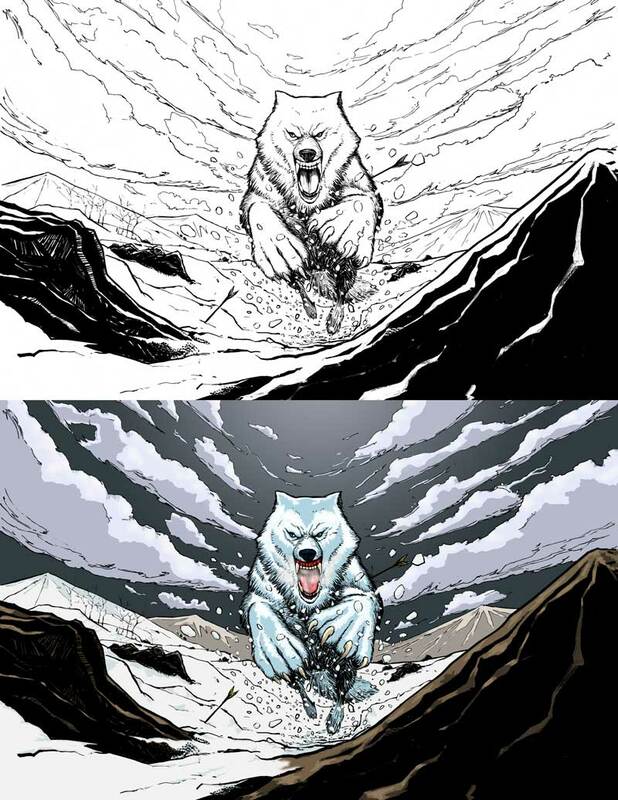 Original line art by Daniel Sguigila, colours by Steven Trustrum using a graphire Wacom tablet and Photoshop. For the Adequate Commoner RPG book by Misfit Studios. Trustrum’s detailed, 25-page report was a breath of fresh air. It got into every aspect of my site. He found not only the problems I knew about, but pointed out huge issues that I hadn’t even considered. And the report doesn’t just list problems — it lists solutions, with convenient links to explain things in more detail. Microformats? What the hell is that? Ahh…. I highly recommend this service for anyone, new or experienced, that has a web site that is important to them. Steve knows how to communicate ideas, is very professional and reliable to produce and manage accurate content on any given project. I hired Steven Trustrum as CSAE’s first content manager “…” and it was one of the best decisions made over my lengthy career in running trade and professional associations. Steven made an immediate impact on CSAE, its members and stakeholders through his solid and vast knowledge of how to create and curate content to increase value and engagement. Steve is a highly professional and encouraging editor and publisher with whom to work. He is exceptionally skilled at his duties and is a joy to deal with.